December is the season to bring out paintbrushes, colours, canvases, scissors, papers, chisels and all other craft material at South Point. These are put to great use at the Biennial Art and Craft Exhibition. 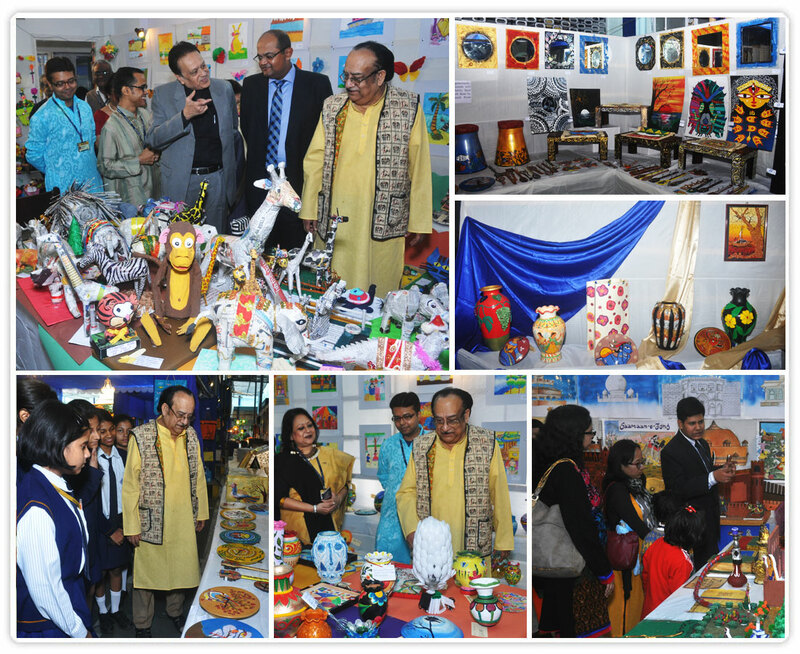 The Junior School campus resembles a spectacular canvas, displaying a mindboggling array of paintings, printmaking, mosaic work, craft items and theme projects. Workshops are held earlier to prepare for the final show. The South Point High School sections at the Exhibition are equally overwhelming in their variety and beauty. Recycled waste material are judiciously used to create many a handicraft. Extensively researched projects on all subjects are also on display. Long queues of eager visitors snake in and out of School on all the three days of the Exhibition and appreciate the efforts of Pointers.